I enjoy working on a wide variety of projects that give scope for discovery and sharing of stories about nature, culture, environment, travel and history in different ways. As part of this, I've been fortunate to have a long association with some large-circulation magazines and major broadcast media, including through the BBC and National Geographic. For TV and radio work, go to the Sound and Vision page. Hundreds of stories for BBC Wildlife Magazine over more than two decades, including major recent features on Scottish wildcats, Beavers, Sea Eagles, Puffins, Norwegian reindeer, Alpine marmots and Humpback Whales. I contributed a 'Wild Calendar' feature to every issue of the Scottish Natural Heritage magazine 'The Nature of Scotland' until the demise of the print edition. Features in many other large-circulation magazines, including National Geographic, BBC Countryfile, Wild Travel and Country Living. I've been editing a variety of publications since my mid teens. This includes arts pages and magazines and several years editing and designing the nationally circulated 'BTO News' for members of the British Trust for Ornithology. 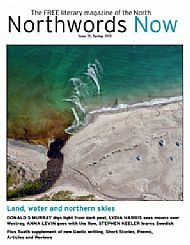 Since the spring of 2017, it's been a privilege to edit Northwords Now, the free literary magazine of the north. 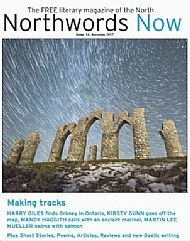 This gives prominence to writing from people living in or inspired by the Highlands and Islands, but I‘m also keen to see material linked to the wider north. That includes both other parts of Scotland and places around the northern world. My eight books and eight substantial soft-cover works include the international prize short-listed ‘Natural Heartlands’, soft-cover environmental education sourcebooks, several books on puffins, ‘Scotland’s Nature and Wildlife’, a guide to the Glenmore Forest Park, a collection of essays inspired by Beinn Eighe and main text for 2020VISION. I've also collaborated with other writers in several books. These include the second edition of The Puffin by Mike Harris and Sarah Wanless, for which I wrote the chapter on puffin behaviour, using much of my own research. Another part in a multi-author venture is my piece in A Wilder Vein - an anthology edited by Linda Cracknell and described by Robert Macfarlane as 'a significant contribution to the contemporary literature of place.' My creative non-fiction piece 'Cull' has been included in 'With Their Best Clothes on - New Writing Scotland 38' (2018). 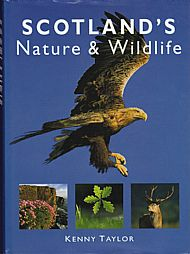 Other collaborations include writing the Scottish section of the Traveller's Nature Guide Britain (Oxford), the wildlife section of Frommer's Best Walking Trips in Scotland and providing text and background research for the European myth and legend section in the second edition of Jeff Watson's classic work The Golden Eagle.